I love my smartphone and my tablet, but I still feel that I work faster on my desktop computer because of keyboard shortcuts. There are many different ways to bring up commands in SOLIDWORKS, but the use of keyboard shortcuts help me tremendously. While I was browsing our new Computer Aided Technology (CATI) blog webpage, I noticed something for the first time. We offer a downloadable SOLIDWORKS Keyboard Shortcuts Cheat Sheet. 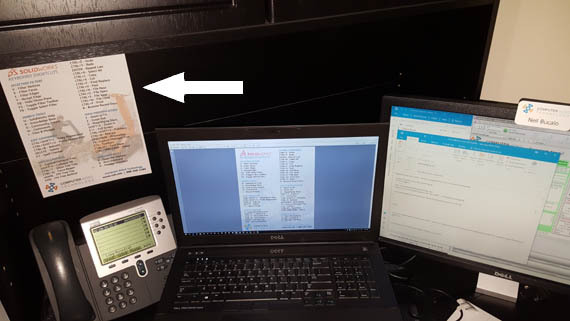 I was excited to compare what shortcuts I know with the cheat sheet. I picked up a couple that I didn’t know about or that I had forgot about. For example, if you want to open up a file that you have recently worked on, all you have to do is press the “R” key on the keyboard. This displays the Recent Documents dialog box, allowing you to browse the small thumbnails and quickly open up the file. 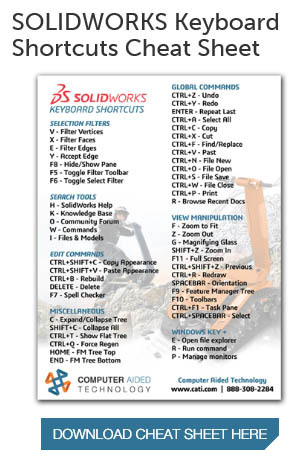 This handy SOLIDWORKS Keyboard Shortcuts Cheat Sheet can be downloaded as a PDF file and printed. I have already printed it out and taped it up in my office. To get your copy, simply go to https://www.cati.com/landing/solidworks-keyboard-shortcuts. 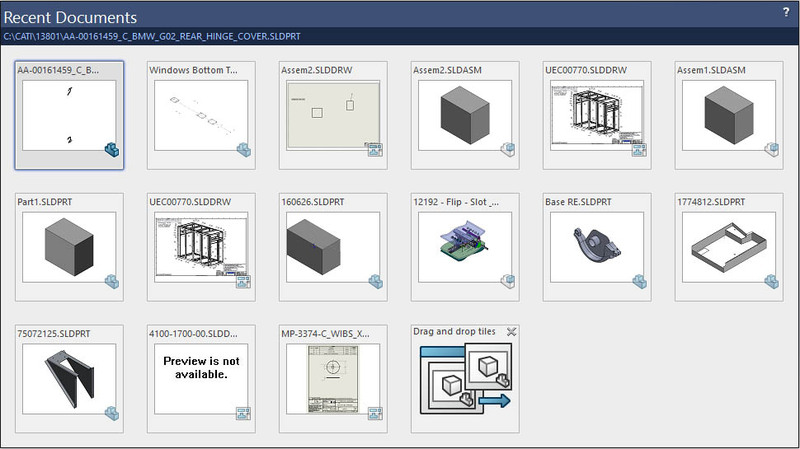 Wondering how to copy a surface in SOLIDWORKS?